Trish's Brush 40 Medium Laydown is designed for the placement and blending of concealers, creams, powders and liquids to the eyes and face. Handcrafted for exquisite quality and durability. Precision-cut for technically perfect results. 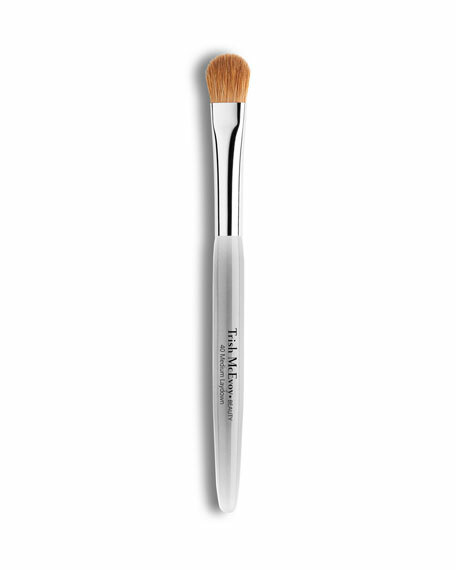 To contour, define, or precisely apply color, use the tip of the brush. Trish Tip: When using with powder, tap off excess and test the color on the back of your hand to ensure you have the desired amount of pigment.